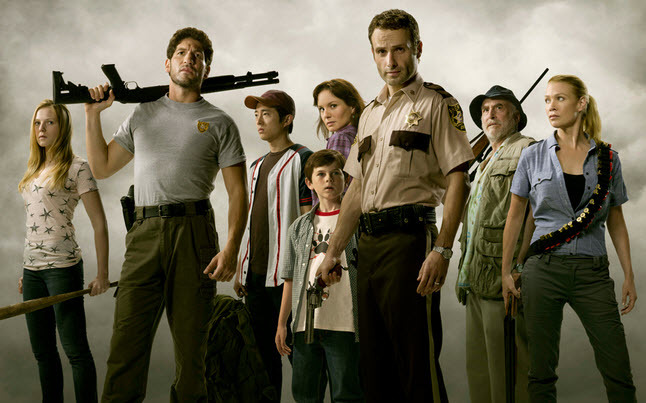 The Walking Dead characters, and the cast, that makes the show great. The characters of show come from different aspects of the human culture, which helps to really show a diverse group of people trying to survive and make sense of the world. Rick Grimes, the main character, awakes in the hospital from a coma trying to figure out what happened to everything. He eventually finds his wife Lori, who is now dead, and their son Carl. Also, when he finds his wife Lori, he also finds his partner from the Sheriff’s Department. Shane, who is dead, had helped his wife and son survive. Rick also finds many more people in which some are still alive, some are dead, and some we really don’t know what happened to. We do know that AMC has said that “nobody is safe”, and they have proven that so far as we continue on in the series. Since the beginning of the show, many characters have come, and many have died. We will try to keep an updated list so that we can see the progression of the show and the characters that made it what it is.